While Shakti Sinha had announced that the Museum for Prime Ministers will be housed at Teen Murti, Jairam Ramesh has said that because of stiff opposition, the location of the museum is yet to be decided. New Delhi: While director of the Nehru Memorial Museum and Library Shakti Sinha yesterday told the media that a the much-debated ‘Museum for Prime Ministers’ will be constructed within the Teen Murti premises, Congress leader Jairam Ramesh has said that the director is misrepresenting the facts, and that the results of the annual general body meeting were different. Ramesh has written to Sinha to with his objections. While Sinha had announced that the NMML will remain unchanged but the Museum for Prime Ministers will also be housed at Teen Murti, Ramesh has said that because of stiff opposition, the location of the museum is yet to be decided. “We (opposition leaders) argued that it (the museum) could be set up anywhere in Delhi outside NMML complex,” Ramesh told The Wire. The meeting was chaired by Union home minister Rajnath Singh. Those opposed to the museum being located at Teen Murti included Congress’s Jairam Ramesh, Mallikarjun Kharge and Karan Singh, historian Nayanjyot Lahiri, economist Nitin Desai and B.P. Singh. They want the NMML to retain its original mandate of preserving memorabilia and personal objects related to Jawaharlal Nehru. As reported by The Wire earlier, many hold the view that a Museum for Prime Ministers at Teen Murti is an attempt by the Modi government to obliterate Nehru’s legacy. 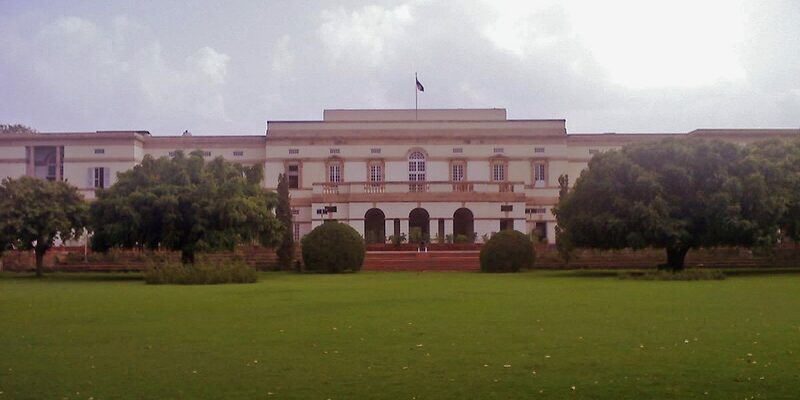 After the meeting, Sinha announced that “the management of NMML decided to develop the museum within the premises of the Teen Murti property that served as the official residence of the first Prime Minister, Jawahar Lal Nehru”. However, Ramesh said that while it is true that the Narendra Modi government has decided to construct a Museum for PMs and even set aside Rs 200 crore for it, there has been no final decision on the location. The Congress leader said it was decided that “NMML will not implement” the project “but a special purpose vehicle will be created” for it. For the construction of the museum to be approved, the executive council of the NMML would have to amend the memorandum of association as well as the rules and regulations of the NMML society. According to Ramesh, amendments to the memorandum of association were “deferred in view of strong opposition from many members”. The meeting reportedly took into account the written views of Nitin Desai against the museum being constructed at Teen Murti. Desai said that Nehru “represents a link between the freedom struggle and early years of independence and that his contribution to our evolution as a nation is qualitatively different from that of his many successors”. At the meeting, one decision that was taken – which both Sinha and Ramesh have now confirmed to the media – and this was that the NMML itself will remain as it is, a tribute to Jawaharlal Nehru, even if it is modernised. Prime Minister Narendra Modi had first stressed the need for a Museum for Prime Ministers in 2016. 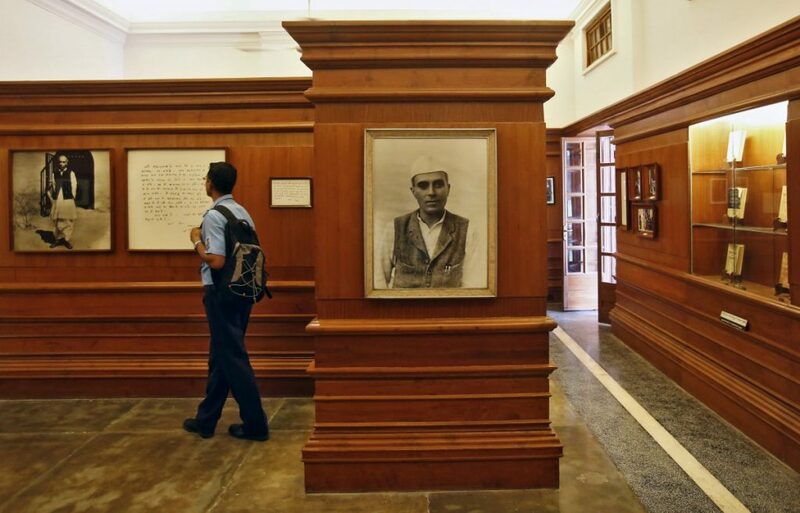 At the NMML general body meeting on July 26, the government tried to convince dissenters that the new museum building would in no way adversely impact the legacy of Nehru. Rajnath Singh also reportedly said that the construction of the museum would be taken up through a consensus. He noted that a detailed concept note would be circulated among all the members within a month, after which suggestions can be made. He also gave his assurance that the ongoing renovation of the Nehru museum would not be impacted. M.J. Akbar, the Union minister of state for external affairs, made the same point. But the assurances, when seen in the context of how the project has been pushed over the past couple of years, did not do much to allay the concerns of those who are opposed to it. This is especially because the Centre has made it a point to state time and again that NMML falls under the culture ministry, thus giving the ministry the right to do as it wishes. At the meeting on Thursday too, Prasar Bharati chairman Surya Prakash reiterated that the estate is owned by the government and has only been given to the NMML for maintenance. After the dissenters voiced their stiff opposition, according to Ramesh, it was agreed that no final decision would be taken on the location of the museum. In his note to Sinha, Ramesh has also brought up the placement of a portrait of Nehru at the NMML, perhaps reinstating why the opposition is questioning the government’s motives. “At the NMML Society meeting last evening, I had pointed out that the main photo in the Seminar room of NMML is no longer of Jawaharlal Nehru but of Deen Dayal Upadhyay. Nehru’s photo has been shifted to a side wall along with that of others like Mahatma Gandhi and Rajkumari Amrit Kaur. This is shocking and the Home Minister told me that he has instructed that this be rectified. I hope the necessary corrective steps are taken in line with the Home Minister’s instructions and the status quo that existed for so many years is restored immediately,” Ramesh said. The proposal for the museum is reportedly at an advanced stage since Sinha had already constituted an “in-house research team” to evaluate the suggestions made by a team of consultants from Delhi University and Banaras Hindu University for the museum. The team – Chandrachur Singh, Keshav Mishra and Swadesh Singh – is learnt to have approached families of former prime ministers to identify the visual and textual elements that would be displayed in the museum. Sinha had earlier declared that the museum was being designed as a “temple of democracy” that would honour the prime ministers of the country. “The prime minister of India has always played a predominant role in shaping the future of the country. It is different from other democracies. That will be reflected in the ethos of the museum,” he had said. Note: This article has been updated at 6 pm on July 27 with Jairam Ramesh’s statements and at 10:10 pm with Shakti Sinha’s tweet.